This excellent software has been developed by a group of Italian enthusiasts, Like PRA it uses a standard PC audio port to collect and digitize the signal, and displays it in a user friendly interphase on screen. Of all the software that has been developed so far, I think this one is the easiest to calibrate and understand. We were able to get it up and running with our GS-1100A in less than 15 minutes, without even referring to a manual. There are a minimum number of settings to concern yourself about, so you can spend more time analysing and understanding your data, and not the software. Histograms and other data can be exported as csv files. We believe this software is now compatible with PC and also with Mac or Unix using Crossover or Wine as it is called on Unix. 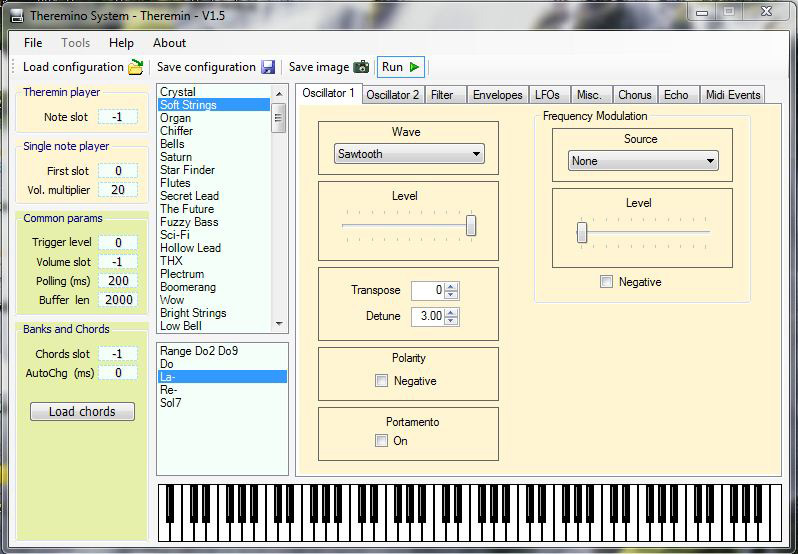 Most software written by the Theremino team is designed to work together, and one of the coolest features is the ability to run the Theremono synthesizer "Theremin Synth"together with Theremino MCA. When run together, the synthesizer can convert the gamma pulses from the scintillation detector, to harmonic scales, and play them through the speakers of your PC with an amazing array of sound effects. Apart from being fascinating to listen to, this function also allows visually impaired people to appreciate the art of gamma spectrometry. 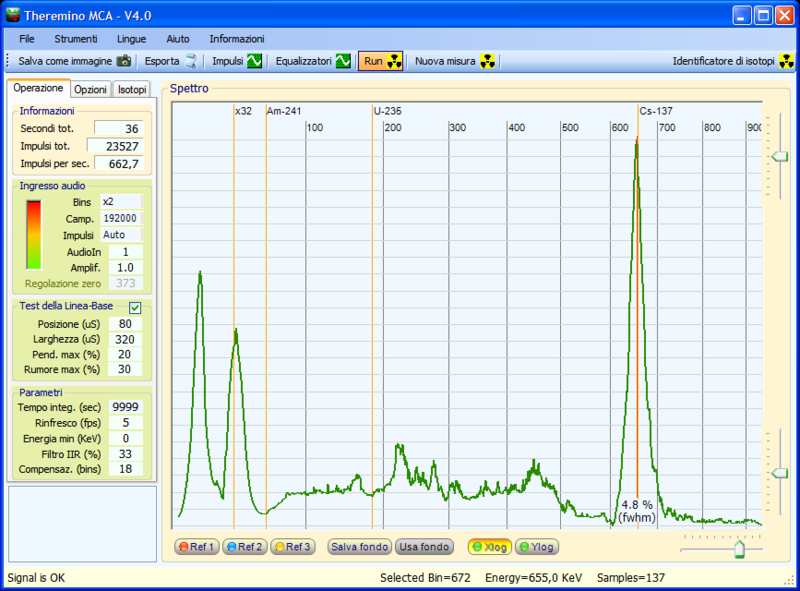 With a little bit of practice,it is quite easy to identify one isotope from another, using nothing but the sound.